Researchers have uncovered a healthy aging blood test which helps diagnose Alzheimer’s disease and dementia. The findings came from a seven-year collaborative study at King’s College London, Karolinska Institutet in Sweden and Duke University in the U.S. Researchers used a process called RNA-profiling to compare and measure gene expressions in human tissue samples. 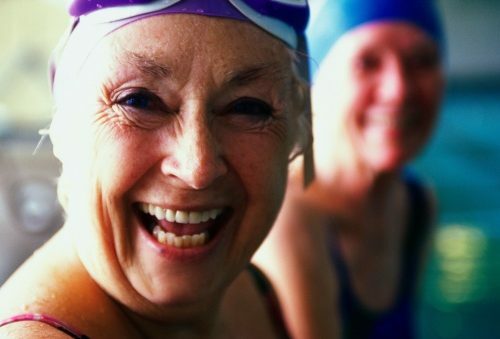 Researchers found activation of 150 genes which mark good health in those 65 and older. By creating a reproducible formula for healthy aging, researchers were able to determine how well a person will age in comparison to others born in the same year. Additionally, researchers found that individuals have a biological age which differs from their chronological age. A low score in biological age was related to cognitive decline, meaning a healthy aging blood test could reveal a person’s risk of Alzheimer’s disease or dementia. Biological age was not associated with a person’s risk of heart disease or diabetes which reveals that lifestyle choices are independent. Researchers believe they have developed the first accurate healthy aging blood test which reveals the rate at which our bodies truly age. Aside from this finding, healthy aging blood tests could better find suitable donor matches for older organ transplant patients. What is lacking from the findings is how to increase a person’s biological age thus reducing their risk of Alzheimer’s or dementia. Aging doesn’t have to be a burden, and you don’t simply have to succumb to the effects of aging. With these helpful tips you can age and live healthily. The first step to healthy aging and living is to recognize that it’s never too late to start healthy habits, and you’re never too old to start reaping the benefits of healthy habits. It doesn’t matter if you’re 60, 70 or 80 and older, these tips to healthy aging can provide you with many more years to come. Exercise: Exercise may seem harder as you age, but you don’t need to train as if you’re 20 to receive benefits from exercise. For seniors, even everyday household chores are enough to provide cardiovascular benefits and stronger bones. Even balancing exercises can improve health. Benefits of exercise include lower blood pressure and weight loss and can help prevent injury by reducing your risk of falls. Manage your weight: Being overweight has been linked with many illnesses, so proper weight management can lead to healthy aging and living. Exercise and eating well are staples to healthy weight management. Also, if you have an underlying condition which contributes to weight gain or makes it difficult to lose weight, it’s important to manage that as well. Start with prevention: The best way not to get sick is with prevention. Easy tips for prevention of illness and age-related disease is to ensure you always wash your hands and household surfaces, avoid others who are sick, stock up on essential vitamins and minerals and once again exercise and eat well. Getting yearly checkups, too, can aid in illness prevention because you will be up-to-date on any changes to your body and health. Stay positive: Studies have revealed that individuals who report they are optimistic have a 55 percent lower death rate than those who are pessimistic. Sometimes it’s hard to remain positive and chipper, but some mindfulness and practice can have you thinking and feeling happier. Stay connected: Close social ties have been shown time and time again to help boost health. Whether you volunteer in the community or call a friend daily, it’s important to stay connected with people around you and avoid isolation which has been linked with disease and depression. Eating a healthy diet, too, can be effective in preventing dementia and Alzheimer’s disease. Below are some foods shown to boost cognitive ability and brain health.